I’m going to start by talking about the legend that is White Chocolate Maltesers. They were a limited edition item some time ago, but they have made reappearances, sadly I haven’t seen them for a few years now. Oddly enough White Maltesers Hot Chocolate comes out most winters, just not the actually chocolates. White Chocolate Maltesers have quite a following on social media requesting their return but I’ve not heard anything about them making a come back this year either. On a cheerier note Poundland have a introduced a new product that might just help fill the gap. 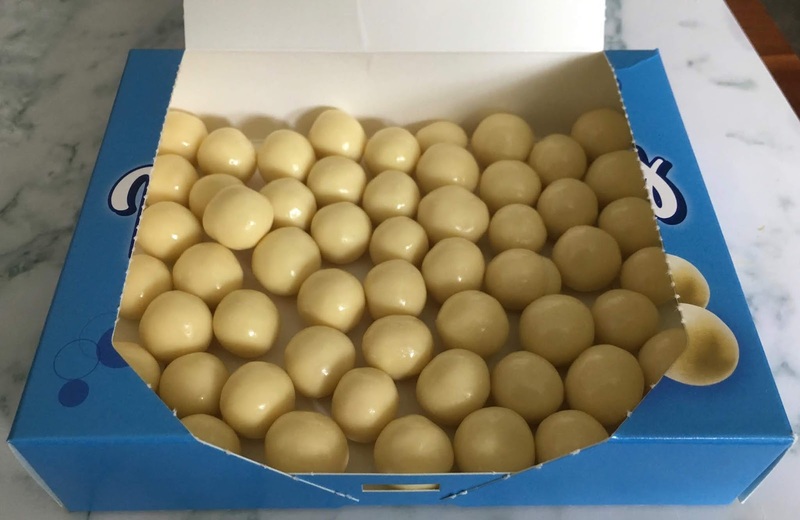 Here we have a blue box filled with White Chocolate Malt Balls. This consists of crunchy malt balls all rolled in thick white chocolate. 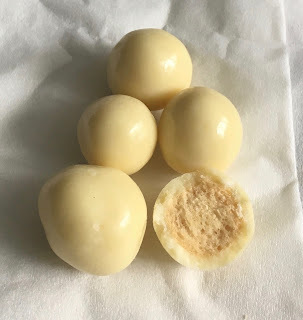 I gave one a try and found that the malt flavour wasn’t quite as strong as I had expected, but combined with the white chocolate each bite was a lovely sweet and creamy treat. The flavour of the malt may be more delicate, but I liked the focus o the white chocolate, they were creamy and then after a pleasant crunch the malty tones shone through. I think fans of Maltesers will be pleased with these. 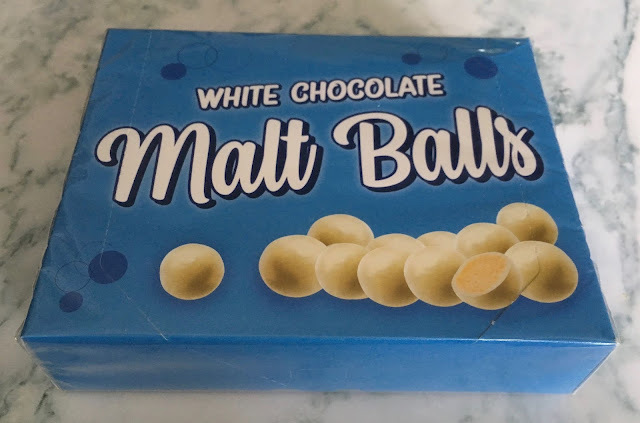 The White Chocolate Malt Balls are moreish, and so easy to sit and nibble with the TV on. At just £1 a box they are a perfect stocking filling, or just a treat for a film night in.